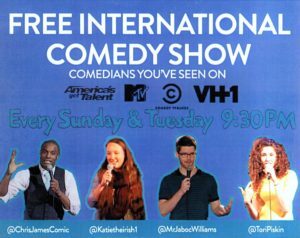 Every Wednesday at 9:00 PM you can catch our free comedy show in the living room. The show is hosted by and features some of NYC’s up and coming comedians. Free beer will be handed out to anyone 21 and over. See you at the show!